“Rather than it sitting around in my house and reminding me of my misspent youth, I thought it might be better as a shared resource,” says the artist Lubaina Himid. She’s referring to Making Histories Visible, a research project predominantly made up of exhibition ephemera from her own collection, which charts the influence of black visual art on the cultural landscape from the early 1980s until the present. Although it has since expanded to include artists of the black diaspora, first and foremost the archive attempts to make visible the contributions of black British artists, such as Claudette Johnson and Sonia Boyce, who “influenced an awful lot between the 1980s and now” but never received the publicity and commercial success that they deserved. It might have taken 30 years longer than they had hoped, but this “black British moment” is finally getting some well-earned institutional recognition. In early 2017, Nottingham Contemporary staged The Place is Here a sweeping survey on black British artists working in the 80s, which featured Himid’s 1986 installation A Fashionable Marriage – a retelling of William Hogarth’s satirical painting Marriage A-la-Mode (1735-45). She also showed the piece, which is made from a collection of her characteristic plywood cutouts, when she was nominated for, and subsequently won, the 2017 Turner Prize. Now, demand for the 63-year-old painter has never been higher. She is ending a three-part exhibition series at the Harris Museum in Preston this March with the retrospective Lubaina Himid: Hard Times, which she says will feature “an assortment of work around slavery and identity”. 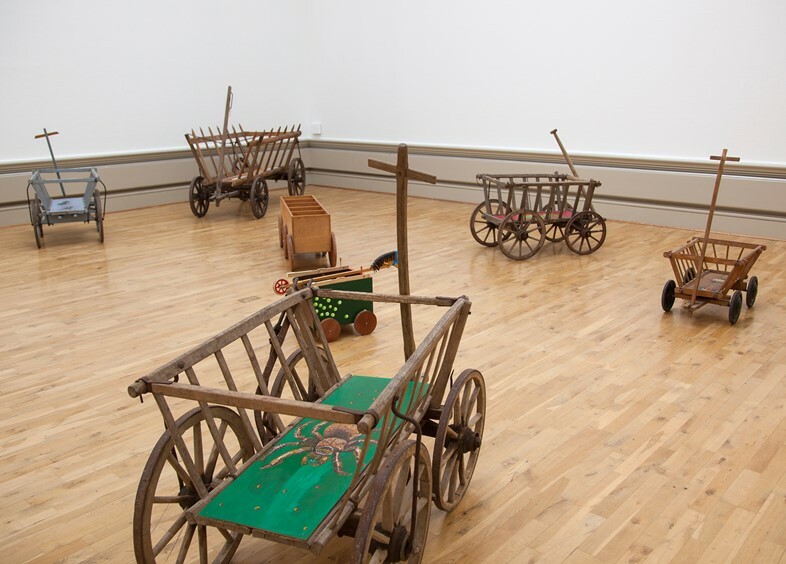 After shows at Spike Island in Bristol and Modern Art Oxford, this retrospective is a homecoming for Himid, who has lived and taught in Preston for almost half of her life. Ahead of the opening, we speak to the Zanzibar-born artist about her hope for the younger generation, her affinity to George Clooney and why we should all be angry. 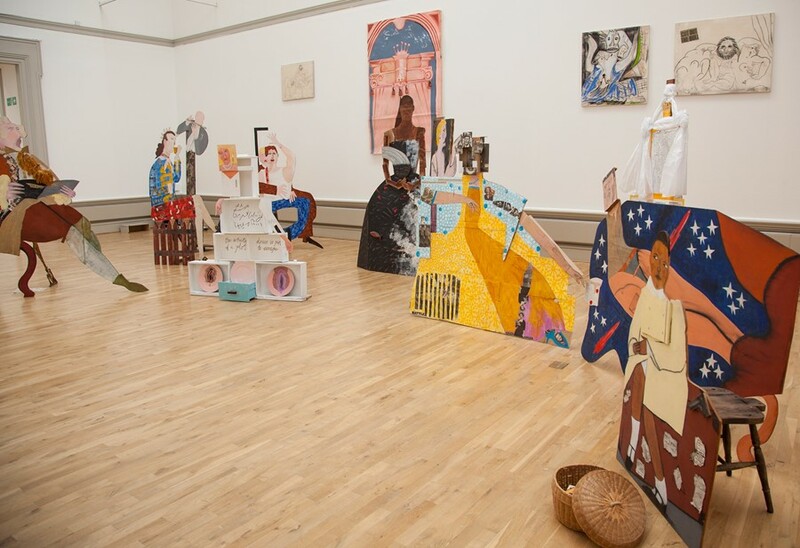 Lubaina Himid: Hard Times is at Harris Museum and Art Gallery, Preston, until June 3, 2018.